so thanks so much for coming by and sharing all your "Style" with us this week. I'm not a great gardener, so I really love seeing how you all do it. and she does them all so beautifully. This last week I decided it was time for more space and less "table", so I downsized to my little round oak table which I gave a new paint transformation. Then I shared my Kitchen Sitting Area dressed in red, white, and blue for a Patriotic Party. 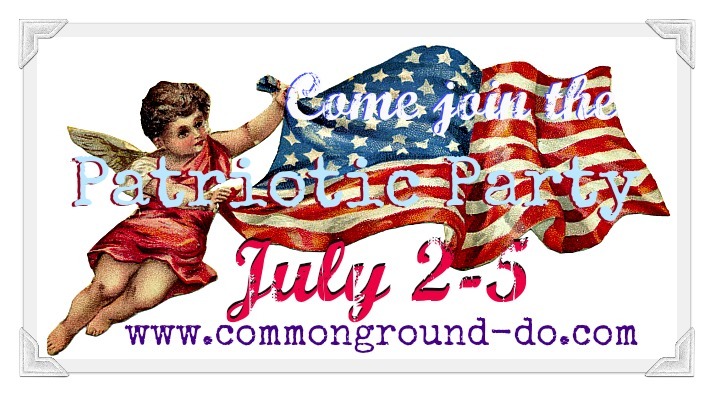 and join in for a fun Patriotic Linky Party! Hi Debra, Thanks for hosting! I simply adore your Kitchen Sitting Area decorated for the Fourth of July!!! 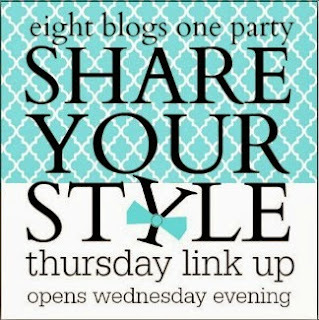 Thank you for hosting Share Your Style each week!!!
. . . and for always inspiring with creative style!!! Thanks to all for hosting this wonderful party! Oh my goodness, you have certainly inspired me this week! 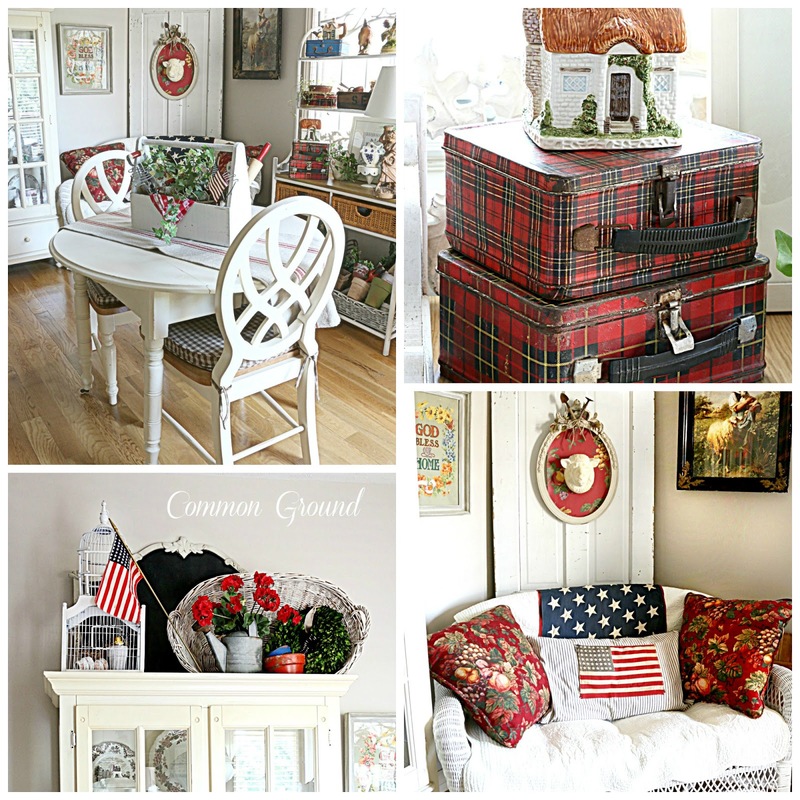 Your red, white & blue makes me want to create a vignette and go to the party! Sleep can wait, I suppose. I need to quit shopping with my Panoply sisters (bad influences,lol) and get busy.Thank you for hosting us. Thank you for hosting this fun July 4th party! Enjoy your weekend! Thanks for hosting!! Have a fabulous rest of this week! Thanks for hosting all you ladies! 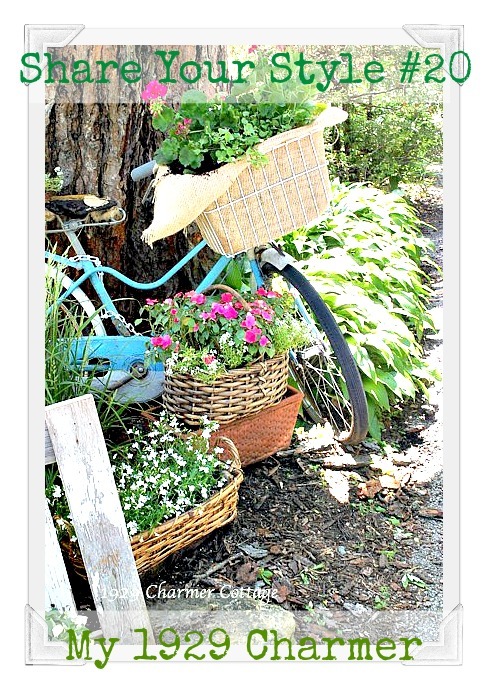 Also a BIG thanks for the shout out on my summer cottage garden....it's a thrill to say for sure! Also, I should be at your party tomorrow if I'm not still stuck to the exterior of our house cause I painted myself to it! Debra, I adore the tartan boxes and the gorgeous red-white-and-blue touches. Thank you so much for hosting--have a wonderful holiday. Hi Debra! Thanks so much for the party! I love seeing what everyone has been up to:) Have a great rest of your week! Thank you for co-hosting such a fun party. Happy 4th!! Debra, thanks for hosting! I love the coastal-themed table feature- very creative! Thanks so much for hosting Debra! Love Cathy's cottage garden too. Hope you have a happy 4th. Coming out from hibernation to tell you I love you. What a lovely surprise! Thank you guys so much for featuring FleaingFrance in this week's features. So happy to start checking out the posts from today. Wonderful features. Thank you Debra for Share Your Style 20. Have a great 4th. Thank you so much for hosting. I hope you have a wonderful 4th of July weekend. Thank you for hosting Debra! Have a wonderful 4th weekend!